1 What’s Albania to you? 3 How to get here? But if this is your next destinations, keep in mind that people in here will welcome you as a guest no matter from where you are coming. If you would hear about someplace that is attractively unavailable, would you ever think of Albania? The small country in the Balkan Peninsula used to be like that during the communist regime. It was completely isolated and even god was denied entry to this land. It was bizarre and beautiful, but no one, Albanians included could enjoy its beauty. The southern coast was a restricted military area protected by soldiers that were waiting for a never coming enemy like in Dino Buzzati’s novel ‘The Desert of the Tartars’. 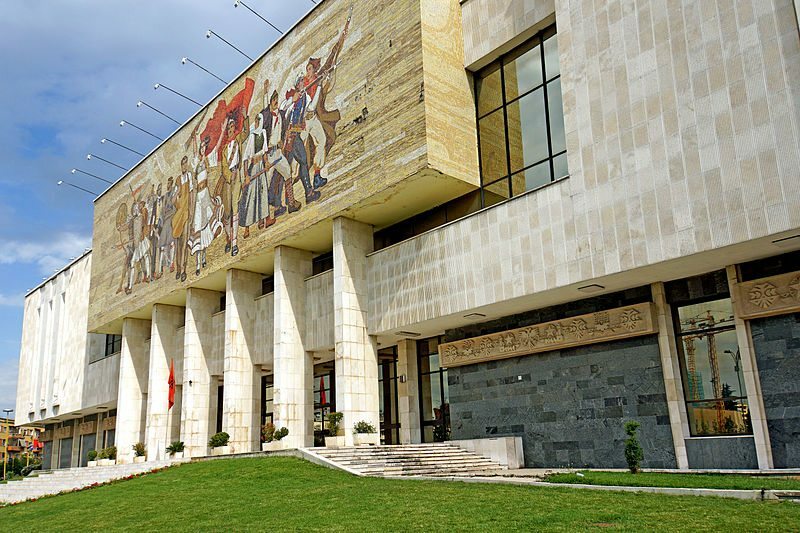 Now, more than 20 years passed since the fall of communism and Albania still remains attractively unknown. The history of Albania is complicated. The country has been under the communist regime for more than 45 years and over four centuries under the Ottoman rule while many invaders came and left since ancient times until the end of World War Second. Currently, the southern beaches are yearning for a new kind of invader, the one that comes in huge figures during summer and sips the morning coffee in bunker-bars. Even though Albania gets most of its visitors during the hot months of the year, it has a lot to offer to the fans of adventure tourism that seek new mountains and treks to climb or walk. The Balkans have the ability to change your perspective on life. Albania can do it too and the odds are that this will happen when you cannot choose a place where to spend your next vacations. Albania is a striking but overlooked destination where every type of tourism is available. Beach vacations, outdoor adventures, cultural and historic tourism, and ecotourism are the different types of tourism that attract visitors to Albania. The long coastline in the Adriatic and Ionian seas, lakes, rivers, lagoons, protected areas, natural reserves, World Heritage sites, remote villages, caves, curative waters, and hiking trails make Albania apt for all types of travelers. It is a great adventure packaged in one small country that reflects the energy of nature and the energy of people. It offers a long history of prehistoric inhabitations, ancient settlements, pirates, invaders and recently tourists. Massive tourism is still unknown and this is good news for the travelers that are searching for new destinations that aren’t overcrowded. Newspapers, magazines, tourism websites are writing more and more about Albania and maybe after a few decades, it will turn into a massive tourist destination. Thus, come here now and discover its authentic side. The first and most important thing to know about Albania is that it is an affordable and safe country even for solo female travelers. There are many of these travelers that write about their wanderings around the country. They speak about cheap but good accommodation, cheap but delicious foods, and old buses that go through stunning roadways. Albania competes with the other countries of the Balkan in fields such as crazy lunatic driving, never-ending fight against corruption, emerging tourist destinations, raki drinking, etc. The only difference is that Albanians are not going to ask about your religion or ethnicity as it happens in other parts of the peninsula. They would mostly like to know why you are here. Are you after some hidden treasure or what? There are many legends about hidden treasures and according to some Albanian media, even the Armed Forces have been involved in the quest for one of those treasures. Legends and urban legends are common in the culture of the Balkans. By Plane. You can fly to Nene Tereza Airport in Tirana. 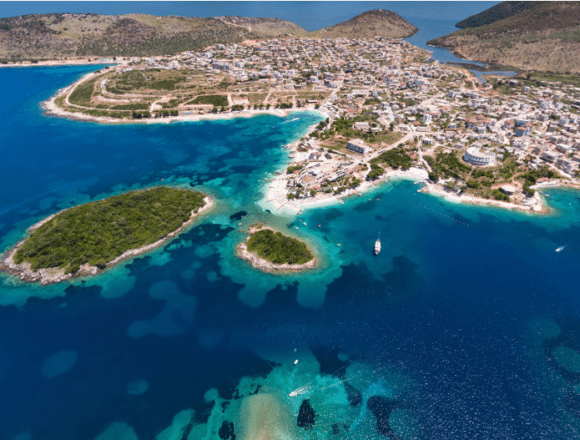 Another way is to fly to Corfu and afterward reach the southern city of Saranda with a hydrofoil speed boat. It takes no more than 30 minutes. By land. Albania has several border crossing points with all its neighboring countries. By sea. There are regular ferries from the Italian cities of Bari, Brindisi, and Ancona to Durres and Vlora. Currently, Tirana is to Albanian youth as New York in Frank Sinatra’s song. It is filled with young people from all over the country to study, work and live Blloku’s lifestyle. Another thing that visitors easily notice is the architecture and colors of buildings in Tirana. Some brick five-storied apartment buildings still have PPSH (Party of Labour of Albania) inscriptions while new abstract architectural designs are seen in high-rise buildings. The legacy left by communism is present everywhere in the city. It can be seen and even walked at the pyramid, a symbol building that was used as the museum of former dictator Enver Hoxha. While climbing up at the top of the pyramid, one really feels like walking over a piece of communism. Even the Palace of Congresses, the Opera, and the National History Museum are part of the dictatorship legacy. The modern urban culture tends to digest things and history, but many feel queasy after visiting the Pavilion of Communist Terror at the National Museum. Here visitors find how the fierce regime that destroyed the Albanian intellectual and religious elite, ended by devouring its own sons. The capital is home to many other sites and attracting buildings that date back to different centuries. There is the Clock Tower of Tirana in the center of the city. It was built in 1822 near to Et’hem Bey Mosque. The latter is one of the few objects of cult that survived the destruction of religious institutions during the dictatorship because it was a monument of culture. The list of important monuments in the city includes the Mosaic of Tirana, which should not be confused with the mosaic of the National History Museum, and the Tanner’s Bridge. In the meantime, the castles of Petrela and Preza, Bunk’Art and Dajti Mountain are interesting destinations. Visitors can reach the top of the mountain by car or by the cableway. Bunk’Art is an underground nuclear tunnel that was transformed into a museum in 2014 on the occasion of the 70th anniversary of Liberation. In one day it is possible to travel from Tirana to the cities of Kruja, Durres, Elbasan, and Fier. Meanwhile, other cities such as Shkodra, Vlora, Berat, Korca, Pogradec, Gjirokastra, and Saranda need more than one day in order to be completely explored and enjoyed. Kruja is an important historical town located only 20 km from Tirana. The castle of Kruja and the citadel were the main center of resistance against Ottomans. It was also the hometown of national hero Skanderbeg or Skanderbeu. He led the fights against the Ottomans and prevented them from advancing further in Europe. The city resisted three sieges and it was finally conquered after the fourth siege. Nowadays, the city is one of the most visited sites by foreign and Albanian tourists. 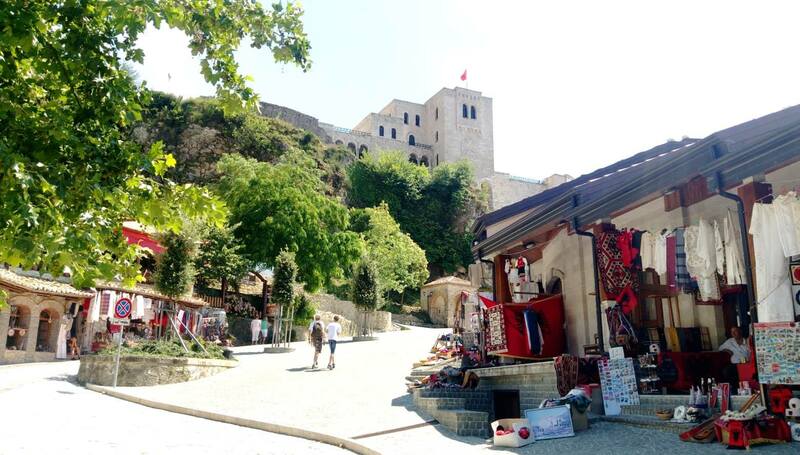 The castle, Scanderbeg Museum, and the Old Bazaar are the main attractions. Artisans and craftsmen sell in small shops that are lined on both sides of a cobbled street. It is a lovely place to visit where visitors can see how artisans work with wood, filigree, leather, wool, embroidery, stone and other metals. Tourists can also go at the top of Skanderbeg Mountain. There is the Sari Salltik Tekke of the Bektashi Order and a mysterious cave where according to locals and pilgrims, sick people were cured after visiting the tekke. Even if you may not witness such a wonder, you may enjoy the view from the top of the mountain. 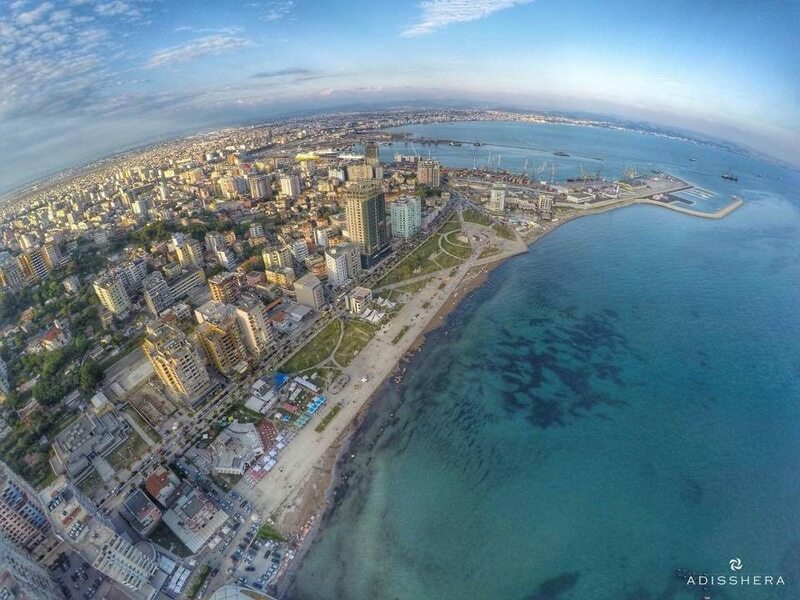 Durres is located about 37 km away from Tirana and it is the second largest city in Albania It has a long history that dates back to 627 BC when the city was founded under the name of Epidamnos. The city developed into a major harbor and port under the Roman rule who took it under control after defeating the Illyrians and their Queen Teuta. The Romans changed the name to Dyrrachium. Durres is home to one of the largest Roman amphitheaters in the Balkans and the most important tourist sight in the city. The complex includes many galleries with many mosaics that are a major draw. The amphitheater is located near to the Roman baths, a ruined fresh water supply aqueduct and modern housing. Meanwhile, other important objects are preserved at the Archaeological Museum of the city. The coastal city is one of the best weekend breaks for the inhabitants of Tirana and even Kosovans, who have a special love for the city. Daily visitors mostly take a stroll along the Byzantine Forum and to Vollga Promenade, where they sit to have a coffee or eat fish and seafood in nice cozy restaurants at the shore of the Adriatic. Other places that you can visit in Durres are the Venetian Tower and the Royal Villa of King Zog at the top of a hill covered by pine trees. You can go to the city by highway or by train. Durres still preserves traces of medieval buildings and Italian architectural style, but they are difficult to find among new high-rise buildings. Fier is located 117 km away from Tirana. It is an industrial city as its ground is rich in deposits of oil, gas, and bitumen. But besides its rich soil, Fier is well-known for Apollonia Archaeological Park and Ardenica Monastery. Apollonia’s history is similar to Durres. It was built by Greek colonists in 588 BC and had its most flourishing time during the Roman rule. It was an important port and center of trade and culture. Cicero was impressed by the beauty of Apollonia, while Roman Emperor Augustus Octavian studied there. The park reflects a harmonious combination of architectural and natural beauty that enhance its universal values. It is surrounded by a wall four km long and nowadays it includes the Odeon, the Artemis Temple, the Triumphal Arch, and Library. Apollonia is the best place for staging ‘The Frogs’ of Aristophanes. You will understand this after listening to the frogs croaking. The owners of nearby restaurants raise frogs because one of the most delicious plates that you will find there are frog legs. The park stays open all year round and many important activities are held there especially during spring and summer. Moreover, the Monastery of Ardenica also known as the place where Skanderbeg got married to Donika Arianiti is located in the national road from Fier to the city of Lushnja. The church within the monastery has some unique pieces of post-byzantine art and icons painted by Kostandin and Athanas Zografi, two famous painters from Korca. A rare icon from the Ardenica Monastery is the one that depicts Saint George killing the dragon that now is found at the National History Museum in Tirana. 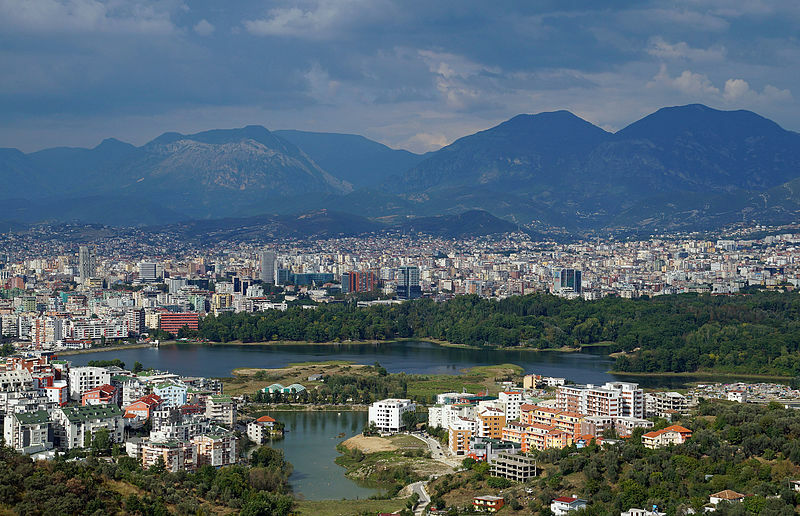 Elbasan is one of the largest Albanian cities that lies about 45 km southeast of Tirana. The name of the city derives from a Turkish word, but according to archaeological data, the first name of the settlement during the second century BC was Mansius. Afterward, it changed into Skampius and Skampi. 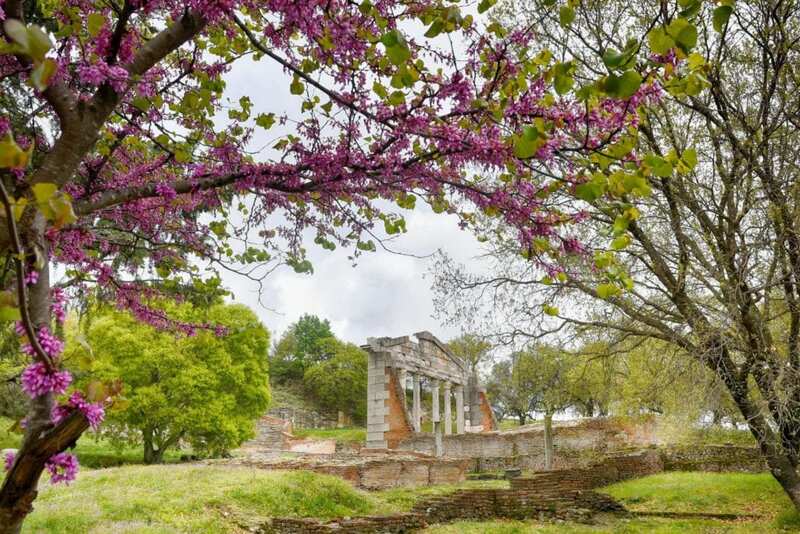 The city gained major importance during the Roman rule when Via Egnatia was built to connect Durres, Apollonia, and Rome with Constantinople. It was a 1,120 km long road and now, avid hikers walk the route. The city used to have a typical Ottoman architecture until the end of World War Second. Even though the city was occupied by Bulgarians, Italians, Slavs, and Austrians, the influence of Ottoman culture was strong. The city was an important center of education. The first teaching training and high school were established in Albania in 1909. Currently, the main draws in Elbasan are the Castle, the Clock Tower, and the King Mosque. Elbasan is also known for its thermal waters and spas. This is how the legend on the construction of the imposing Rozafa castle over the city of Shkodra begins. The legend is filled with symbols, but most of all it is a legend about genesis. It begins with the mixture of the four elements and explains how things start to take shape with the exception of the castle which cannot stand. Speaking about outsets, Shkodra is the perfect place for starting the exploration of Albania if you arrive from Montenegro or Kosovo. 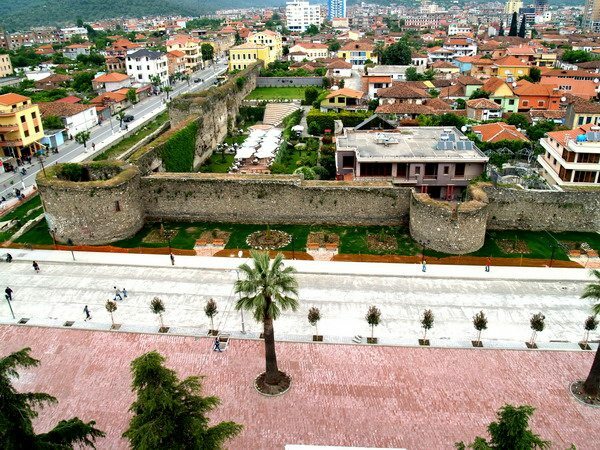 Shkodra, the city of this intriguing legend, is located 99.8 km north-western of Tirana and just like in ancient times it remains a strategic city. It is a short distance drive away from Montenegro and at the doorstep of Malesi e Madhe district. It features a stunning surrounding landscape of mountains, hills, and river valleys. The Adriatic Sea and Shkodra Lake, Buna, Drin, Kir rivers, and the Albanian Alps surround the city. Shkodra has always been a center of fine culture, trade, and education and it continues to be a place of bicycles, romance, photography, Venetian masks, carnivals, and music. Shkodra people are considered as the most joyful of Albania. They like to gather with family and friends, and never get tired of dancing and singing. Like Korca in the east, Shkodra is a city where people can fall in love with nature, people, food, the castle, the river, the lake, and the highlands. The main highlights within the city include the castle and its museum, the Pedestrian Street in Gjuhadol area, Marubi Museum, the Museum of Memory, The Lead Mosque, the Venice Art Mask Factory, etc. In the meantime, other sites and destinations out of the city are Shiroka and Zogaj villages at the shore of Shkodra Lake, the Mesi Bridge, Koman Lake, and Malesi e Madhe, Leqet e Hotit Pass. Given that Shkodra shares its lake with Montenegro, several necessary projects on cross border cooperation are being put into practice. They focus on the development of tourism infrastructure and environmental protection. Shkodra is the starting point for those that want to explore northern Albania. This part of the country is getting an increased number of tourists. The Albanian highlands are places for the people that seek solitude and loneliness. Geographical and cultural isolation has kept these areas like they used to be one century ago. This can be easily noticed after visiting solitary towers inhabited by Gheg people, especially in winter when everything is hushed and even the sound of water susurration has turned into ice crystals. Seclusion has protected these regions from several enemies, the Ottoman invasion, communism ideals and other phenomena that were unknown to these people. Maybe they still preserve the traits of Albanians as they were described in the Epics of Heroes. Elderly people continue to dress in traditional attire. Rhapsodists perform music with cifteli, lahuta or sharki. To visitors that are tired from luxury travel and upper-class European destinations, can find the wild side of untamed highlanders in the Albanian mountains. It seems that foreign visitors were the first that took into consideration the tourism potential of this part of Albania, while Albanians kept distance due to many stereotypes that they created on the unknown north. The ferry boat in Koman Lake is one of the ways that takes people to the northern area of Valbona. Narrow and large gorges between mountain peaks connect northern areas to each other and make an excellent destination for hikers and rock climbers. Such sports activities related to adventure tourism can really enhance people’s lives. The boat journey from Koman to Fierza lasts about two hours and many visitors say that it can be the best trip in the world. It passes through a fiord-like scenery and the ticket costs only five euros. The boat is not a luxury ferry. It is mainly used by the inhabitants of the area, and it won’t be unusual to see one or two cute goats during your trip. The journey to the National Park named after the river that flows through the valley continues from Fierza to Bajram Curri. Nderlysa village, the Blue Eye of Kapre, many inns recognized as bujtina, guesthouses, homestays, and towers. In terms of guided tours, Albania offers the art of mingling nature, cultural historic heritage, and traditions with some of the best adventure destinations in the Balkan Region. 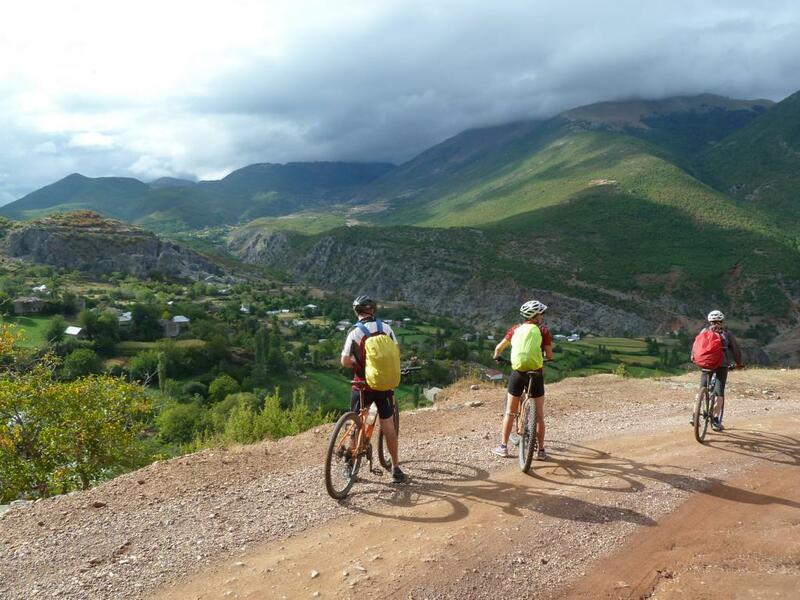 Days of adventure await for those Albanian and international tourists interested in hiking, trekking, mountain biking, rafting, kayaking, off-road adventures, sailing, paragliding, caving, diving, skiing, horseback riding, and any outdoor activity. 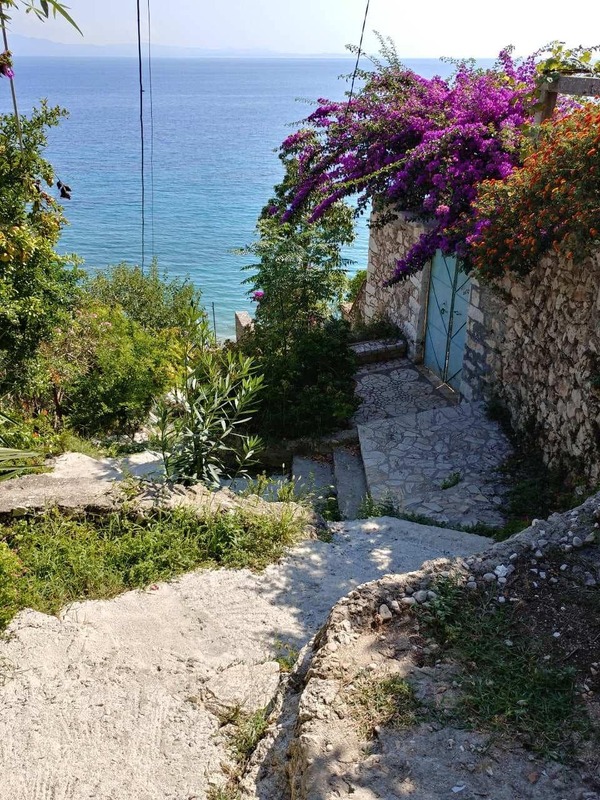 In Albania, you can walk wine routes, ancient Roman routes, or get into a treasure hunt. Tours depend on various factor, but the weather is the most important. 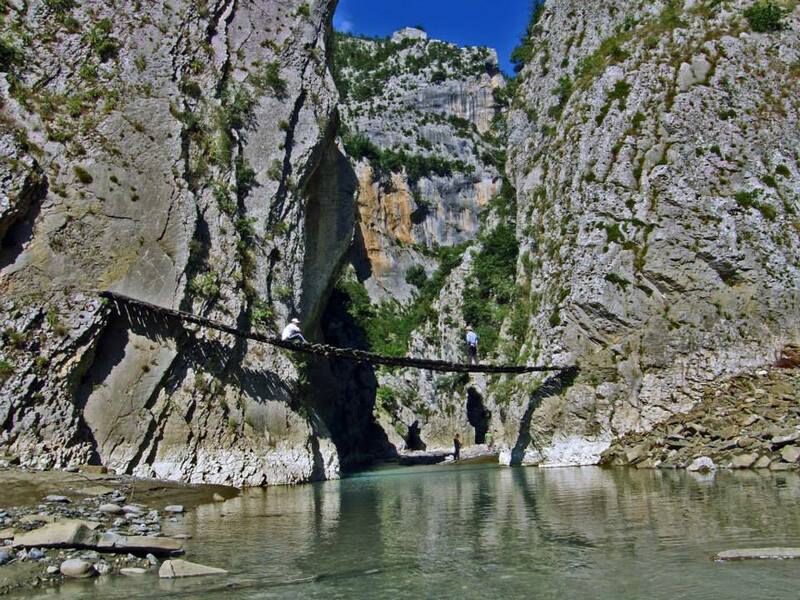 The most typical guided tours in Albania are walking and hiking tours in specific regions of the country. They start from daily guided tours to two or five-day tours and take you out of the beaten track. The importance of these tours lies in the role they have for the development of sustainable tourism models and local economies. On the other hand, Albanians and foreign citizens get more interested in nature protection and preservation. Daily tours include international tourists arrivals that come to Albania from other countries to visit specific sites. These trips are organized in cooperation with Albanian agencies that provide transportation and the English/French/Greek language guide. These groups of tourists come from Corfu Island to Saranda in the south and they visit Butrint Archeological Park, a UNESCO World Heritage Site, Gjirokastra city, UNESCO World Heritage Site, or Gjin Aleksi Mosque in Delvina. Other groups of tourists come to Albania from cruise liners like MSC Poesia cruise ship that includes Saranda or Durres in their ports of call. 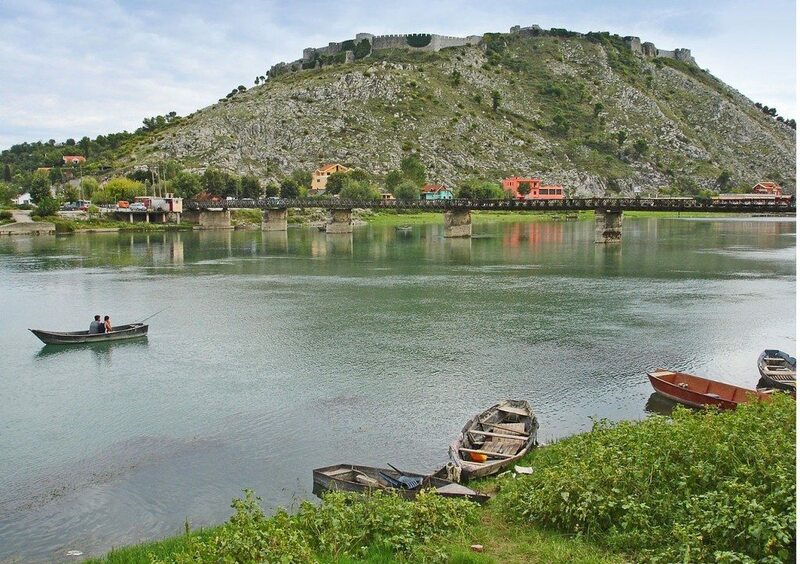 Another top destination for daily tourists is Berat, UNESCO World Heritage Site, Rozafa castle in Shkodra, and Tirana. For more than six months in 2017, all eyes were on the former military base a few km away from the coast of Vlora. For the first time, the Ministry of Defense agreed to open the island for visitors during May-October 2017. This decision echoed even on international media, travel websites and blogs. France 24, Telegraph, ABC News, Lonely Planet, Travel, and Leisure wrote about the mysterious island that would allow visitors to visit one of the most secretive bases of the Communist period. Weekend trips are organized by numerous travel agencies. 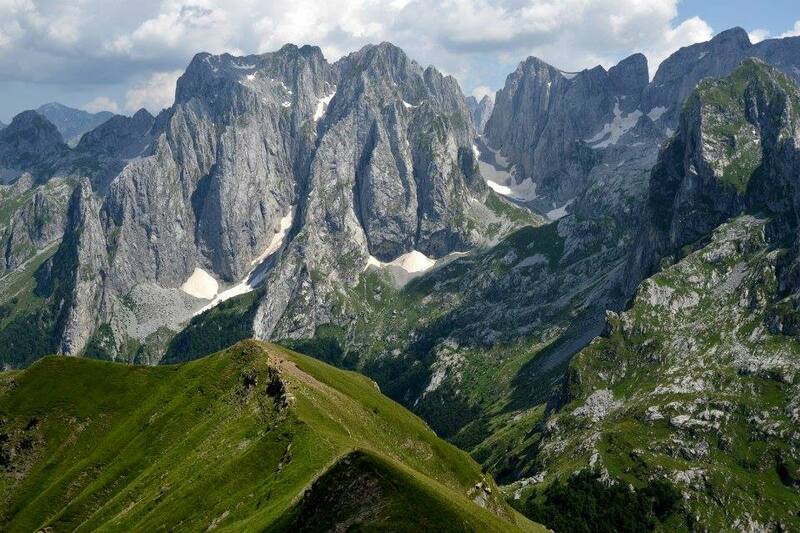 They focus on destinations in the northern part of Albania such as Valbona, Thethi, Tamara, Vermosh and Lepusha, Dardha and Voskopoja in Korca, and several other destinations. These are the most sought-after weekend destinations visited in Albania. 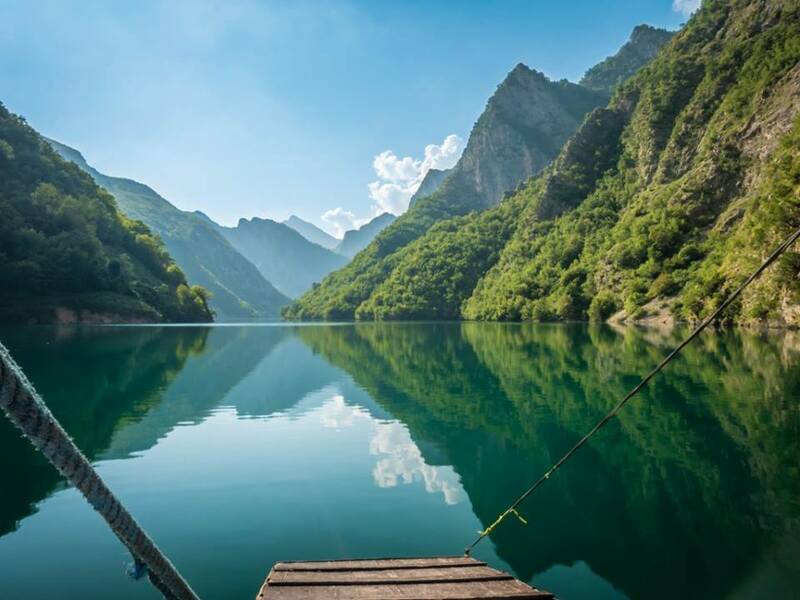 The trips come with a great deal as they cover transportation, accommodation, food, the guide and the ferry boat ticket for those that travel to Valbona through Koman Lake. The average price for a weekend trip to Valbona in the peak season is Euro 60. Albanian tour guides are also specialized in the art of adventure. If the weather is good, you can easily enjoy a tandem flight over the Ionian Sea or a rafting adventure in Vjosa valley and Osumi canyons. 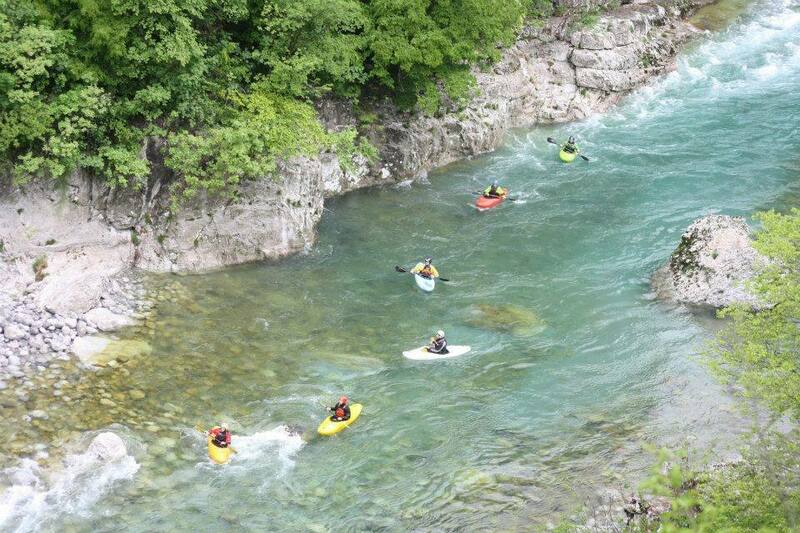 Visit Albania Rafting Group for more information. Kayaking, horseback riding, mountain biking and off-road trips are the best way for exploring the unknown parts of Albania. Via Dinarica, a 2,000 km long trail that unites the western Balkan countries in a single route. The Peak of the Balkans a cross-border trail about 192 km long shared between Albania, Montenegro, and Kosovo that runs in the Accursed Mountains. Hiking the southern coast, explore the beautiful coastal trails and visit beaches that can be reached only by foot or go deep to the southern mountains and get the authentic taste of the south far away from modern life. This activity is recommended when the water level is low. Canyons make the best destinations for river hiking. You can walk, swim in natural pools and, explore scenic formations in Holta canyon in Gramsh, Langarica in Permet, Skrapar, Gradeci near Corovoda, etc. From the northernmost place in Albania to Ionian coast, kayaking is possible in every river that meets specific conditions. However, if you are a kayaking enthusiast, don’t miss the chance to visit Valbona River, Shala River, Shkopet Lake, Ohrid Lake, the Ionian Coast, Osumi and Vjosa Rivers, Cemi River, Rodon Cape, and many others. 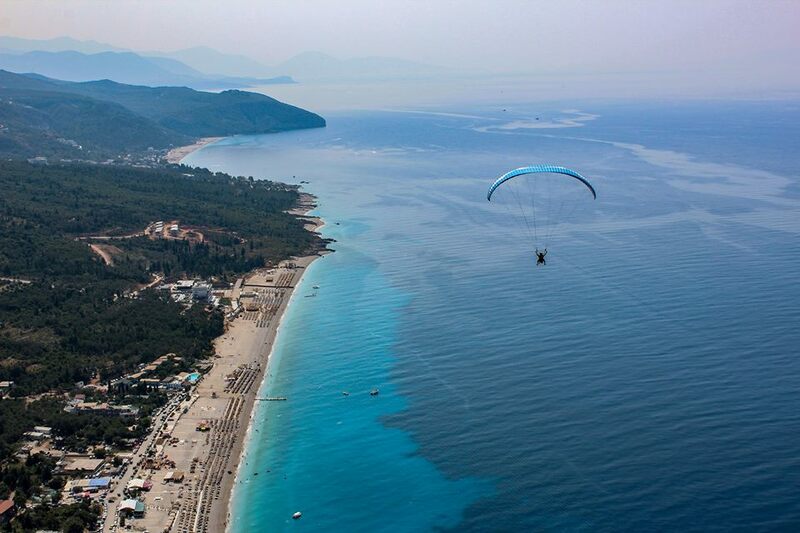 Experienced paragliders have their favorite spots all over Albania and their number is increasing. If you want to have a bird’s eye view of Llogara mountain pass and the Ionian Sea, this is the most thrilling way. 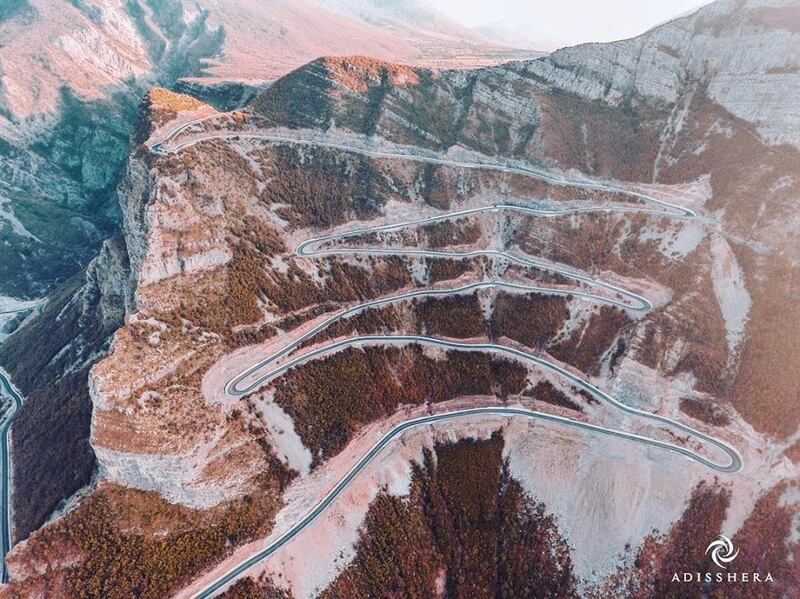 Dajti Mountain and Shushica Vlora are other starting points for a tandem flight.Visit Extreme Illyricum, AeroClubAlbania, OutdoorAlbania if you are interested in tandem flights. You can choose a romantic trail that chases the steps of Lord Byron or go up to the top of Tomorri Mountain, on muleback instead of a horse. Albania is trying to repair the damage caused to wildlife and natural habitats during recent decades. 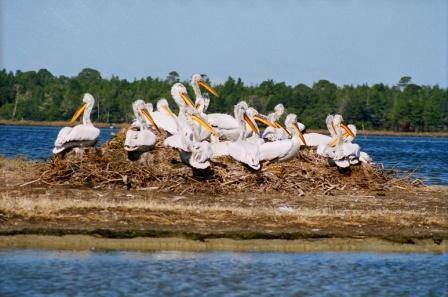 Fortunately, birds are coming back to their breeding sites such as Buna River and Shkodra Lake, and in Divjaka Karavasta National Park, which is known as the home of the Dalmatian Pelican, a globally threatened bird species. Another fact that Albanians don’t know is that the largest world colony of the Dalmatian Pelican lives at Small Prespa Lake, a lake shared between Albania and Greece. This bird, which is engraved in the denomination of Lek 1, and many other species are attracting hundreds of thousands of birdwatchers to the coasts of lagoons, lakes, and rivers. The Mussel tour is for those that are looking for something different in Ksamil. The boat tour begins in the famous southern spot and sails to Butrint Lake, where the mussels grow. Tourists see the mussels farms and taste fresh mussels. “I think it was one of the most wonderful tours I ever done. It was a great experience in all aspects.. fun, relax, good vibes, nice people, and excellent local food.. that is real life!” Ricky from Italy says about the Mussels tour in a TripAdvisor review.